By Audrey Golden. Jun 11, 2015. 9:00 AM. 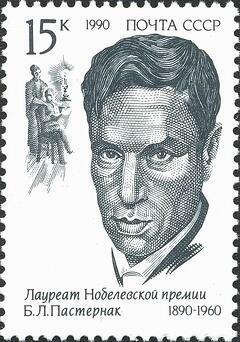 Where can you find the largest archive of Boris Pasternak material in the world? The Special Collections and University Archives at Stanford University holds this vast collection, where researchers have the opportunity to peruse documents contained in 156 manuscript boxes and 23 oversize boxes, not to mention videotapes and phonotapes. While access to specific items will require permission from the archivist and a trip to Palo Alto, digital use copies of some of the materials are available. The collection spans from 1878 to 2013. The Hoover Institution at Stanford University houses the archives of many important figures from the nineteenth and twentieth centuries, and Nobel Prize-winner Boris Pasternak is among them. Indeed, according to a news release in the Stanford Report, the Pasternak family papers “include correspondence, drafts of Doctor Zhivago and other writings, diaries, correspondence, photographs, and sound and video recordings of Boris and other family members.” Lora Soroka, an assistant archivist at Stanford, explained that Boris’s son actually “can be considered the founder of modern Pasternak scholarship,” as he first began scanning and cataloging the documents of his late father. That’s right: this archive provides researchers with access to sound and video recordings of the famous Soviet novelist and poet. And the collection contains more than documents related to Boris Pasternak alone. The archive also includes the papers of Leonid Pasternak, Boris’s father, as well as the papers of Leonid’s daughters, Josephine Pasternak and Lydia Pasternak Slater. Leonid, like his son, became famous for his artistic abilities. One Slavic literature scholar described him as “a talented and successful Impressionist painter.” Boris’s mother had been a talented pianist. Leonid and his wife emigrated from the Soviet Union in its early years, relocating in Germany in 1921. As such, the archive also contains numerous documents concerning Russian émigré life in the early twentieth century. Among the most exciting items in the archive are the pieces of correspondence between the Pasternak family members, as well as letters exchanged with other notable Russian writers like Leo Tolstoy. To be sure, the correspondence is of such significance that it recently was translated into English by Boris’s nephew, Nicolas Pasternak Slater, and published by the Hoover Institution Press. 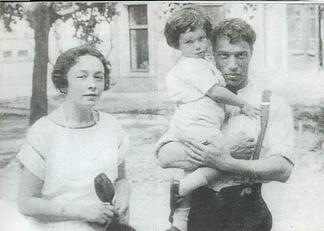 The symposium arose with the publication of Boris Pasternak: Family Correspondence, 1921-1960. The translations, as we mentioned, occurred within the family. And Professor Lazar Fleishman, one of the leading Pasternak scholars today, provided the foreword for the book. Nicolas Pasternak Slater indicated that he “began translating these letters out of a feeling of family loyalty.” Included within some of the correspondence, for instance, are letters between Boris and his parents during the rise of the Third Reich in Germany. As Jews, the Pasternaks worried about their safety, but their son knew that they could face significant danger if they returned to the Soviet Union. Leonid and his wife ended up in Oxford, while their son continued to face political persecution farther East. The Pasternak family archive is as vast as it is important. With handwritten drafts in pencil and ink of Doctor Zhivago, as well as more than 600 photographs of the Nobel Prize winner, the collection should be of interest to any readers of modern literature. And while archives are important for scholarly work, their holdings also are open to the public if you do a little bit of work up front. Contact an archivist to express your interest in exploring the collection. The Hoover Institution is just a quick car or plane trip away.